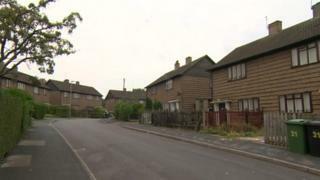 Residents on a former coal board housing estate near Leeds have said they are in limbo as they wait to find out if their homes will be demolished. Investment company Pemberstone is looking to build 72 new homes on Sugar Hill Lane and Wordsworth Drive in Oulton, Rothwell. Seventy homes were initially only to be used as short-term housing, but have now stood for more than half a century. Tenants are worried they will be priced out of the area if the plan goes ahead. Pemberstone has been contacted by the BBC, but is yet to comment. Residents of the 70 semi-detached rental homes, some of which moved to the area to work at Rothwell colliery, were invited to a public consultation event to provide feedback on the "evolving plans". Karen Bruce, Labour councillor for Rothwell, said most of the affected 250 tenants live on short-term tenancies so can be evicted without an alternative local home being found. "They will make a lot of money off this site, but it's off the back of these tenants, many of whom have paid more than what these houses are worth," she said. Sadie Somers, a tenant, said: "It's very unlikely we will find somewhere round here, so it really does get to me. "I've planned my future around here and I don't know whether that is now a possibility. It's upsetting." A small number of the tenants have agreements in place where alternative accommodation has to be provided. Mavis Abbey, who has lived on the estate for 47 years with her ex-miner husband, said: "We don't know what protection we've got. "At the end of the day, a new home is not going to be here, it's going to be anywhere. We don't know who's going to re-house us." Leeds City Council said it was "reviewing the situation to see what type of assistance might be able to be offered".